See the highlights of Washington, DC while gliding on the fun and exciting Segway personal transporter. With a dedicated guide, your small group will get the experience of riding a Segway as you learn about the best of Nation's Capital along the way! Looking for just a quick jaunt around the city? 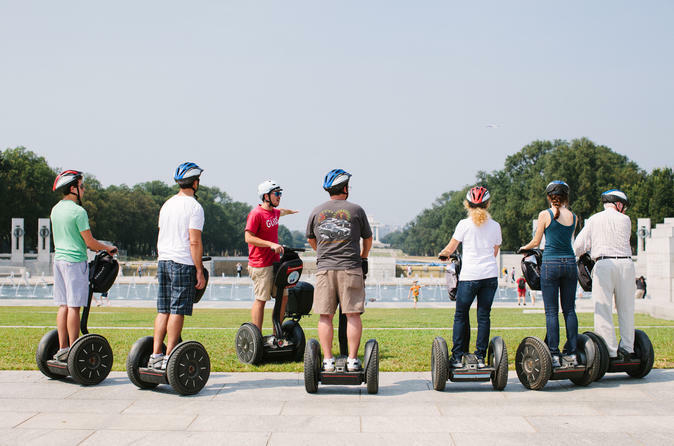 This 2 hour tour is the perfect opportunity to check out the fun and exciting Segway transporter while taking in the best sites Washington, DC has to offer. If you have always wanted to get on board a Segway and experience the joy of gliding along, this is the tour for you. Join us as we explore the National Mall, from the Washington Monument to the Lincoln Memorial. Your small group will also glide by the White House, World War II Memorial, the Old Executive Building and more while your dedicated tour guide tells you all about the history and urban legends that make DC special!